Vehicle wrapping is the most cost-effective way to change the colour and style of your vehicle. By choosing to wrap your car, you avoid spending vast amounts of time and money on a repaint or spray job. The price of a respray usually starts around £1000, however, depending on the complexity of the design and the vehicle type and size it can rise to £10,000 for large vehicles and extremely complex designs. 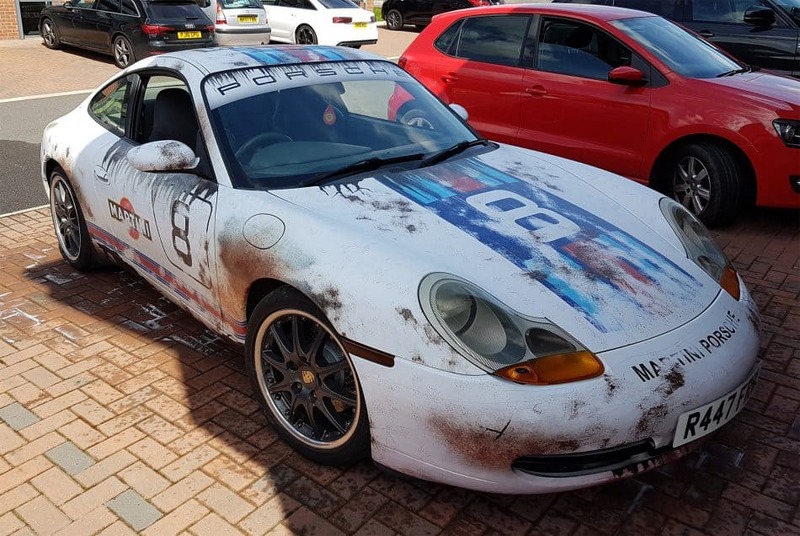 Wraps provide a cheaper alternative than a full-blown respray and come with a host of colour options and patterned designs that would be impossible or unreasonably expensive with traditional spray. Not only this but it provides a method of modification without committing to a permanent respray in a different colour, which could affect the value of your car later down the line. Despite this, the question of how much a car wrap costs is very vague. Multiple factors influence how much your car wrap will cost, and the answer can be quite complicated. But, we have created this guide to highlight the most important factors to take into account. After reading this, you'll know how to get an affordable car wrap, without compromising on quality. A complicated and custom pattern on a car will add more to your total cost. Just as with any industry, different businesses will offer the same service at different prices. It is your job to discover not which is the cheapest, but which has the best value for money. The most inexpensive car wrap service may not be the best. It could be that one company uses cheap, low-quality materials to wrap your car to keep their costs down. We use a variety of top brand wraps to fit your budget, our most common choice is the 3M range of professional wraps, which offer a wide range of styles of the highest quality, tough, vinyl. You can see our full chart of 3M colours here. You'll end up saving money, but you run the risk of your vehicle looking tacky and being poorly fitted. Air bubbles are the trademark of a poor wrap job, and they will be time-consuming to remove. Spending that little extra to make sure you get the best service possible will be worth it. But how do you know what company is best? Do your research. Look at the past jobs they have done and look at customer reviews. 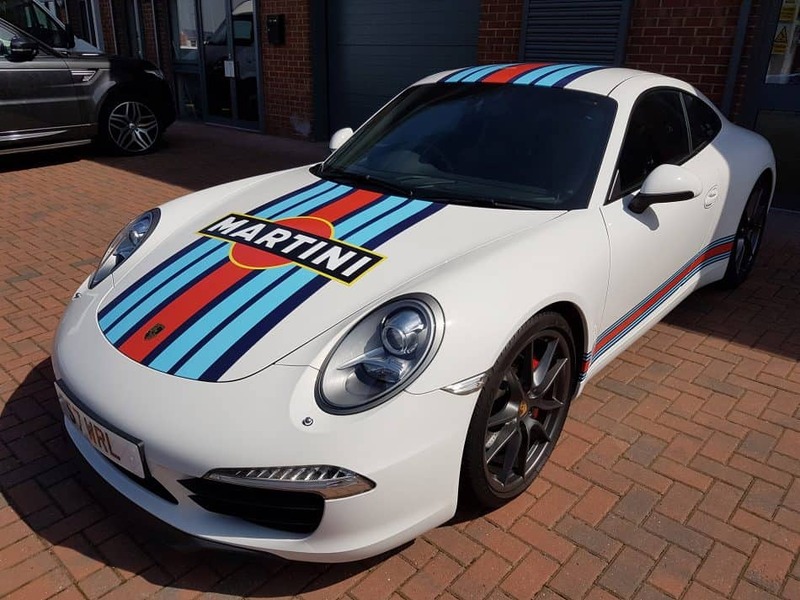 You can view all our work on our gallery page, including an epic rewrap in classic martini livery for a 911 and a distressed livery for a 996. These are more than revealing about whether a car wrapping company is worth your time and money. Unsurprisingly, a hard to fit, complicated design is going to cost more. Therefore, when choosing your design, you need to consider the type of materials you want to use, and how much coverage you need. A full-colour change wrap is going to be the base point, this is the most common product customers ask to do, it’s a straightforward process of covering each panel with a sheet of vinyl wrap in your chosen colour. Before you go ahead, take a look at your car for points where it would become technically difficult, such as shark fins, door handles, bumper splitters, washer jets, etc. 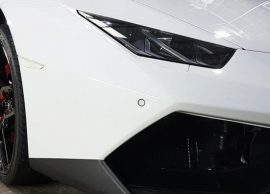 These are where cost will accumulate, for example, a Ford Fiesta will cost less than a BMW 220i, as the physical design of the vehicle is less complex. Where it starts getting complicated and difficult to quote a ballpark is custom livery, printed designs will have to be specially made and each panel will have its own piece of the design, which, without the need for us to mention, makes the application a good deal more time-consuming. Small advertisement wraps or small detail wraps are usually cheaper. Chrome wraps, matte wraps, and 3D carbon fibre wraps come in a variety of colours. All are more expensive than the standard colour vinyl wrap. Keep this in mind when you are choosing your design so that there are no hidden surprises when the time comes to pay. Every vehicle is different, just like most wraps. It’s inevitable that a bigger car will cost more to wrap than a smaller one, even if the wrap design is the same, because you need more material to cover a bigger vehicle. However as we said before, the physical design of your car can throw a spanner in the works. Sometimes, smaller cars end up being more expensive to wrap; a full wrap on a small, two-door car could cost more than on a large van as the van might not be wrapped on the rooftop since it sometimes doesn’t make sense to cover areas that are not visible. Also, vans often have fewer windows and flatter, more square panels, which means fewer cuts, and less work. The complexity of the job, is it custom, does the vehicle look like a drawing from an 8-year-olds maths book? You can usually expect your prices to start at around £1000 for a full vehicle colour wrap for a domestic, standard vehicle with it rising to around £2500 ~ for a custom design on the same vehicle. 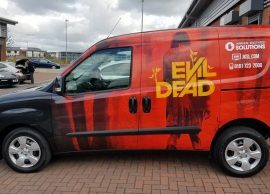 These prices are a general guide and should not be taken for a quote, to get the price of a vinyl wrap you will need to get a quote from our experts. At Wraps and Tints, we understand that affordability doesn’t mean you have to compromise on quality. Our versatile car wrap service comes with unlimited options for customisation and personalisation. Get in touch with us today on 07581 250 250, to find out how we can transform your style.